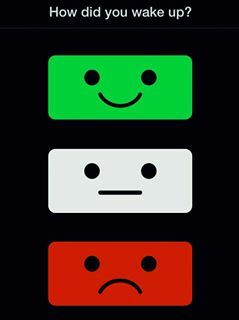 What is your minds emotional foundation? Three years ago I made a strong affirmation never to hit the neutral or sad face ever again on my sleep cycle app… and so began my chapter of healing through the cultivation of feelings of gratitude and unconditional love. I had unwittingly started a practice akin to Metta, a loving kindness meditation I was to discover later down the line. For five years before Autumn 2013, I had almost never felt happy, content or at peace upon opening my eyes in the morning. My feelings and emotions ranged from exhaustion, sadness, dread and emptiness. What made it worse was that down on paper, I had absolutely nothing to be miserable about; society told me I had it all …and so I continued to suppress and ignore my feelings. Eventually numbness set in as my baseline state of being. What was odd was that even when I had made radical and positive changes to my life in 2013 and things started flowing in a positive direction, I still woke up feeling nothing, absolute numbness and so I kept selecting the neutral face…. at least it was better than sadness. One day I had a mini epiphany. I had gained autonomy and consciousness over so many other aspects of my life, why not my feelings too? After all, they are also simply objects of the mind…. And so my little sleep cycle experiment began. I would wake up every morning and look at the smiley face and I would think of any and every reason to feel happy and grateful. I would stay in bed staring at the happy face on my phone, painfully imitating it and drawing up memories, visualizing faces, contemplating how wonderful life is, until the feeling of gratitude and happiness arose deep within my chest. As soon as it did, I absorbed the feeling with my whole being and hit the happy face. I have been doing that ever since. Hell, I don’t even have to try any more… I’ve become one of those happy positive persons I use to want to slap. Our thoughts and our feelings are our responsibility to bear. We have the gift of our innate consciousness to be able to observe and gently and compassionately re-direct our minds. Through the practice of loving kindness meditation, we consciously cultivate the higher feelings of gratitude, happiness, joy, contentment, peace and unconditional love… towards our self, towards others and towards the whole universe. 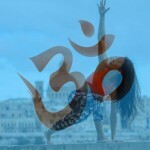 It is a meditation dedicated to opening the heart, raising our inner vibration and reconnecting to all of life. The practice is so beautiful and powerful and the effects are so tangible and life changing, I hope that you will invite it into your lives. My gratitude to sleep cycle for the opportunity, my gratitude towards myself for my crazy ideas and determination and most of all, my gratitude to you if you made it this far down the post. Thank you for allowing me to share this with you. Life is so unfathomably beautiful.